Joe Marsella has recommended your work as OWNER at UNCLE JEFF'S PET SITTING AND MORE. Details of the Recommendation: I've written this recommendation of your work to share with other LinkedIn users. 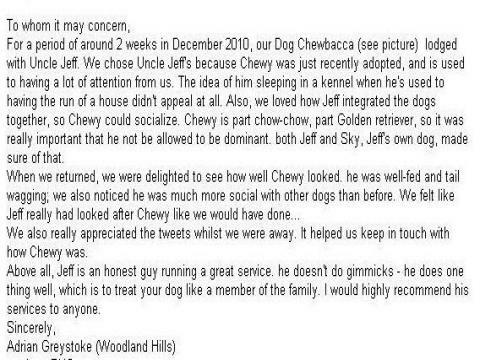 Details of the Recommendation: "I would trust nobody other than Jeff to take care of my dog when I am away. He listens to any special arrangements I request, and he shows extra care and precaution depending on the needs of the dog. He is very flexible to changes and easy to work with. He takes great care of these dogs and it's really like they are going to visit him as opposed to being put in a kennel. Jeff makes my vacations that much more relaxing because I know my dog is safe, secure, and in the company of someone who really loves dogs and most of all someone I can trust." Sara Mohlin has recommended your work as OWNER at UNCLE JEFF'S PET SITTING AND MORE. Details of the Recommendation: I've written this recommendation of your work to share with other LinkedIn users. 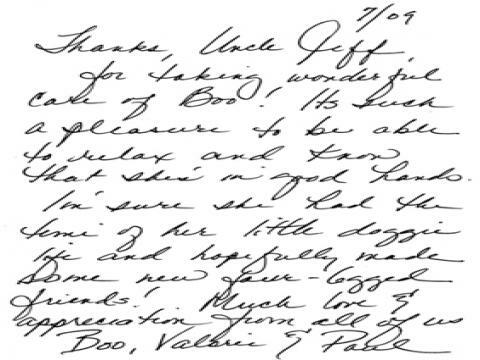 Details of the Recommendation: "Without hesitation I want to recommend Uncle Jeff. I learned of his services from a business associate. As all of us know, there is nothing better than a recommendation from someone you know who has experienced a service provided. 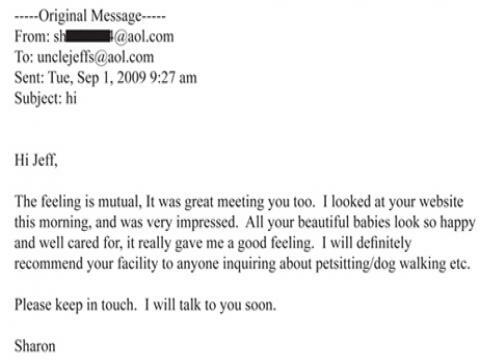 When Uncle Jeff provides pet sitting services he leaves a daily record of is interactions with our dogs. I recommend Uncle Jeff without hesitation. He is the best and his is trustworthy and reliable. My dogs love Uncle Jeff." Tom Ingram has recommended your work as OWNER at UNCLE JEFF'S PET SITTING AND MORE. Details of the Recommendation: I've written this recommendation of your work to share with other LinkedIn users. Details of the Recommendation: "The best service and attention to details. Thumps up." Marilyn Vance has recommended your work as OWNER at UNCLE JEFF'S PET SITTING AND MORE. Details of the Recommendation: I've written this recommendation of your work to share with other LinkedIn users. Details of the Recommendation: "Jeff is not only very personable, knowledgeable and dependable, he is above all extremely responsible. He takes care of my two dogs when I am out of town and in town as well. The girls love him and are always happy to see him and eager to go with him. That should tell you something about Jeff. Marilyn Vance"
Jerry LeVine has recommended your work as OWNER at UNCLE JEFF'S PET SITTING AND MORE. Details of the Recommendation: I've written this recommendation of your work to share with other LinkedIn users. 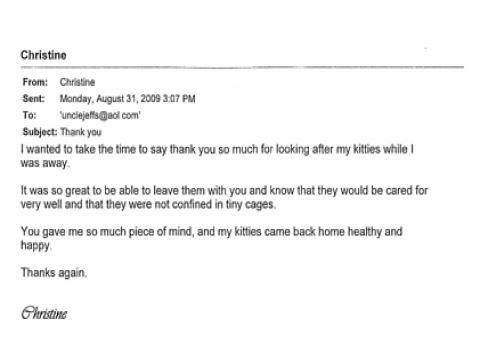 Details of the Recommendation: "Jeff has taken care of our family pets for several years. They love him and we feel comfortable with him caring them. He treats them as if they were his own." Renee Pulve has recommended your work as OWNER at UNCLE JEFF'S PET SITTING AND MORE. Details of the Recommendation: I've written this recommendation of your work to share with other LinkedIn users. 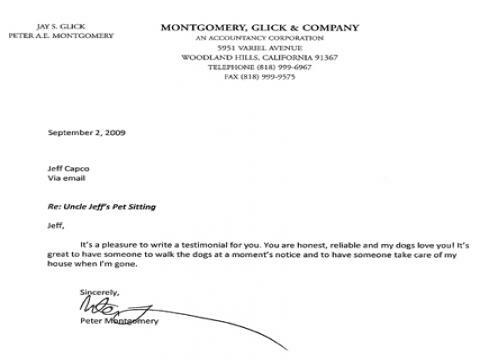 Details of the Recommendation: "Jeff has taken care of both of my dogs when I needed to travel for work. He's very reliable and understanding of each pets individual needs. One of my dogs needed consistent medical care which he was happy to provide at no additional cost. If your looking for personalized service in a home setting, then look no further." Michael Elliott has recommended your work as OWNER at UNCLE JEFF'S PET SITTING AND MORE. Details of the Recommendation: I've written this recommendation of your work to share with other LinkedIn users. 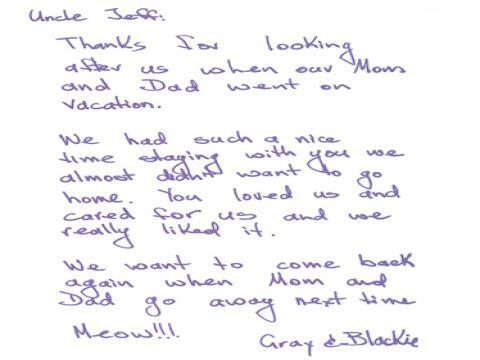 Details of the Recommendation: "Jeff has everything covered with is pet care services. His background in working with animals has helped him create a business model that is sure to be successful." Anne DeVenzio has recommended your work as OWNER at UNCLE JEFF'S PET SITTING AND MORE. Details of the Recommendation: "Jeff cleaned my dog's teeth, which is no easy task! 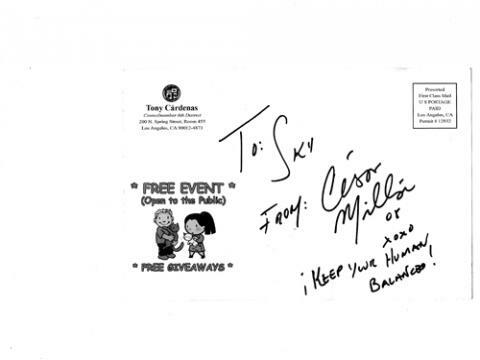 He communicates well with people and animals. I look forward to using his services again." Bill Johnson has recommended your work as OWNER at UNCLE JEFF'S PET SITTING AND MORE. Details of the Recommendation: "I have known Jeff for a number of years and I'm impressed with the services he offers. Jeff's animal care business is tops in our area and you simply won't find any better. For special care with your pet see Jeff Capco for their needs." Hilary Kokenda has recommended your work as OWNER at UNCLE JEFF'S PET SITTING AND MORE. Details of the Recommendation: "I highly recommend Jeff. He has been pet sitting for me for several years, and my dogs are always loved and happy under his care." Anthony Hall has recommended your work as OWNER at UNCLE JEFF'S PET SITTING AND MORE. Larry Troesken has recommended your work as OWNER at UNCLE JEFF'S PET SITTING AND MORE. Tish Smiley has recommended your work as OWNER at UNCLE JEFF'S PET SITTING AND MORE. Robyn Bryant has recommended your work as OWNER at UNCLE JEFF'S PET SITTING AND MORE. Ray Rodriguez has recommended your work as OWNER at UNCLE JEFF'S PET SITTING AND MORE. has recommended your work as OWNER at UNCLE JEFF'S PET SITTING AND MORE.